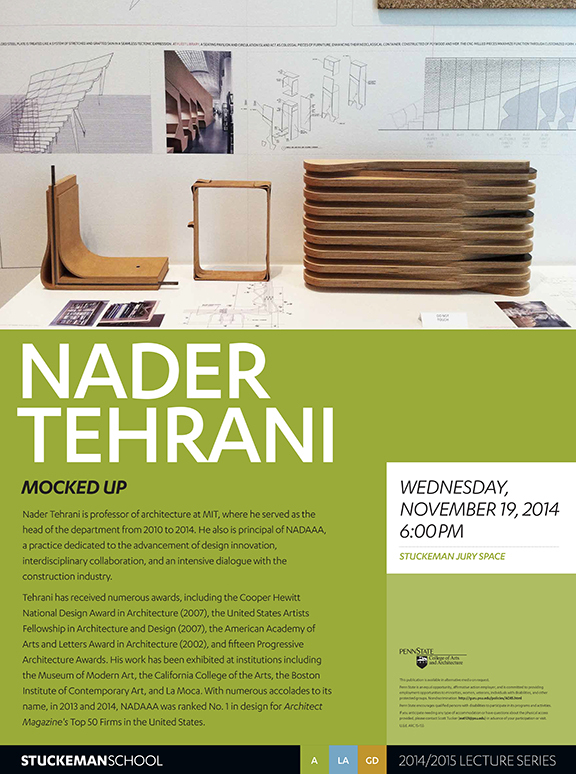 Nader will be giving his “Mocked Up” lecture on Wednesday Nov. 19th at 6:00 pm in the Stuckeman Jury Space at Penn State. 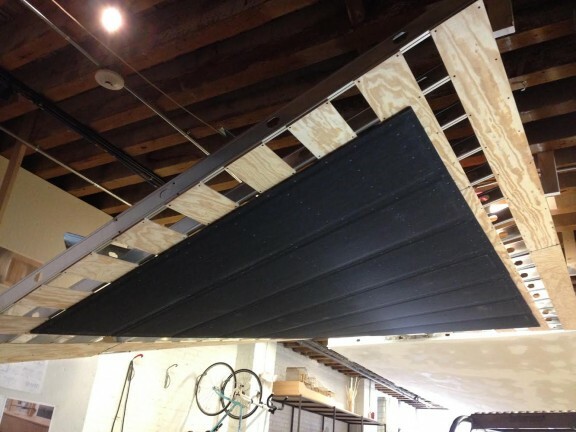 Down in our shop, work has begun on a custom table made of aluminum and anigre-faced plywood. 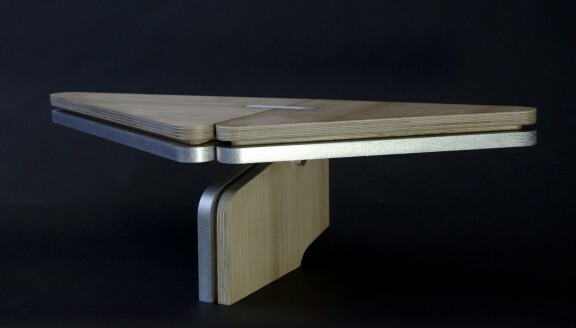 The client commissioned us to design a table where their family of five could work and study together. The pinwheel form provides each user with a dedicated space and routes computer cables through an opening at the center. 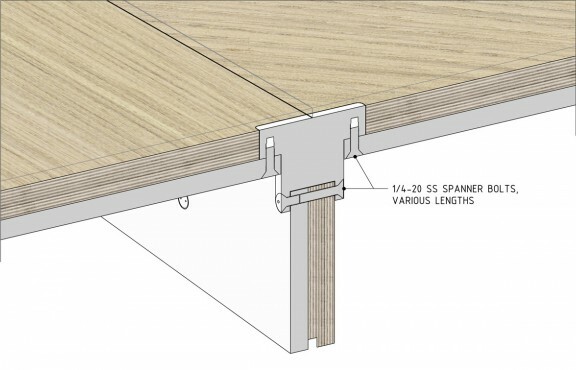 The pieces of the table flat-pack for easy shipping and are bolted together with specialized custom fasteners. 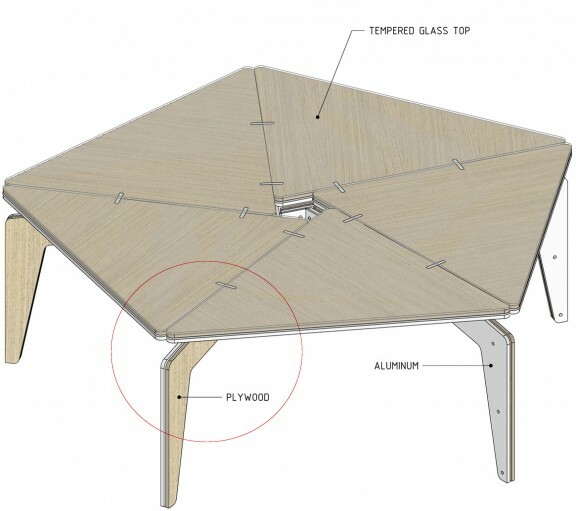 Exploded Axonometric drawing showing the assembly logic of the table. 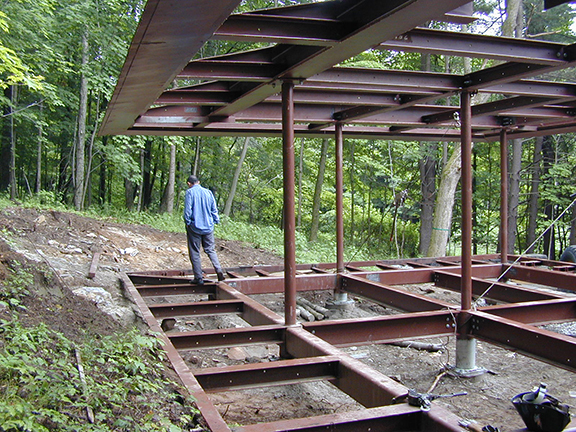 A mock-up was built to evaluate the material choices and test the custom fasteners. 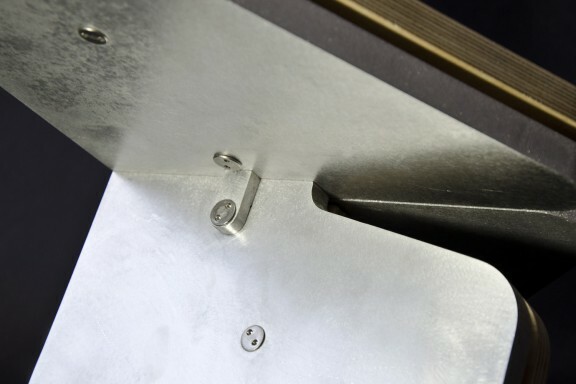 Waterjet-cut 6061 Aluminum features a non-directional satin finish. 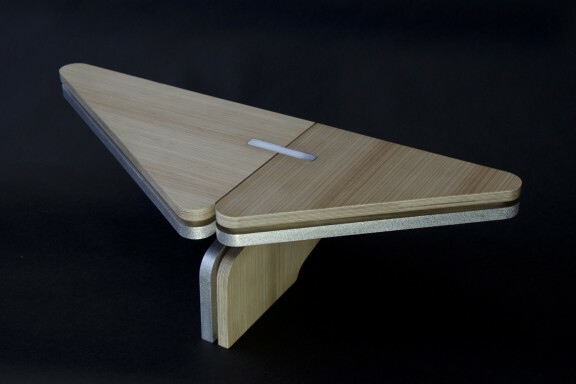 CNC-cut Plywood with an Apple-ply core is faced with White Anigre. 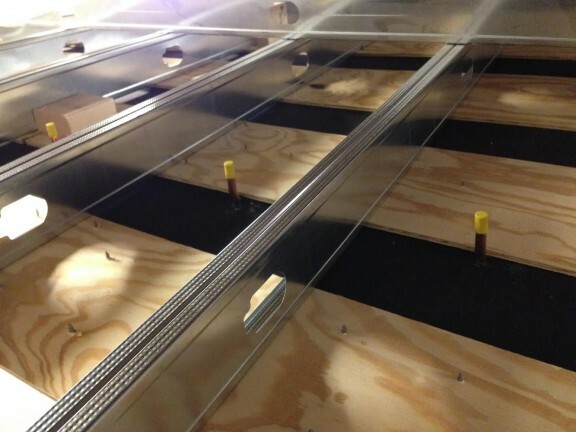 The wood and aluminum are laminated together with Marine Epoxy. Tight tolerances are critical for the precision attachments. 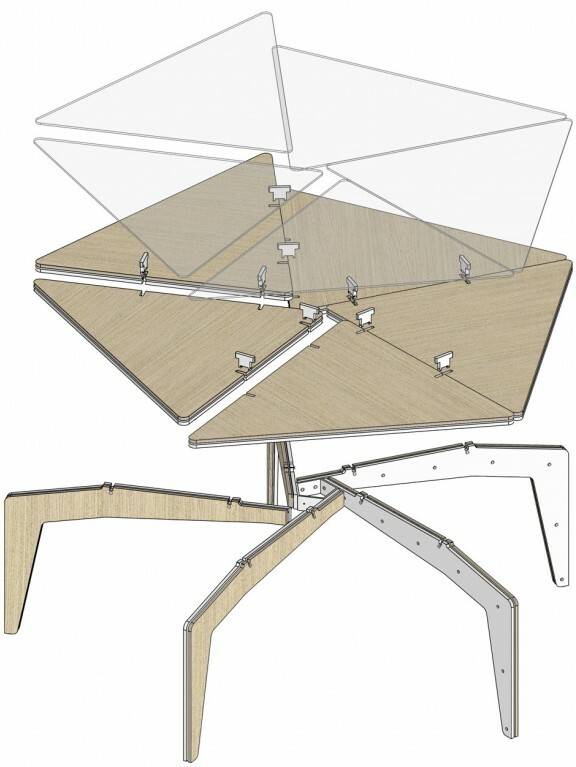 Detail Axonometric Section through the Leg / Table-top connection. 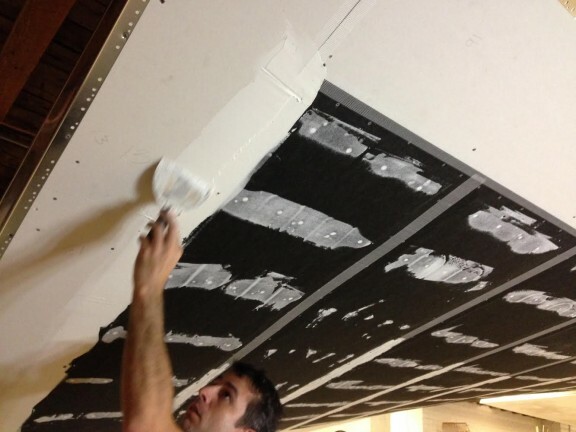 The unique aluminum fasteners are machined by hand in our shop. 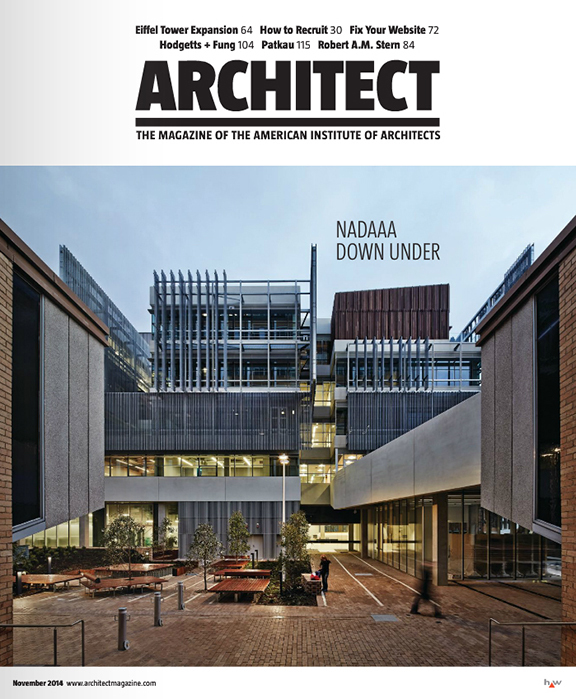 The University of Melbourne’s Faculty of Architecture, Building & Planning is featured in ARCHITECT. 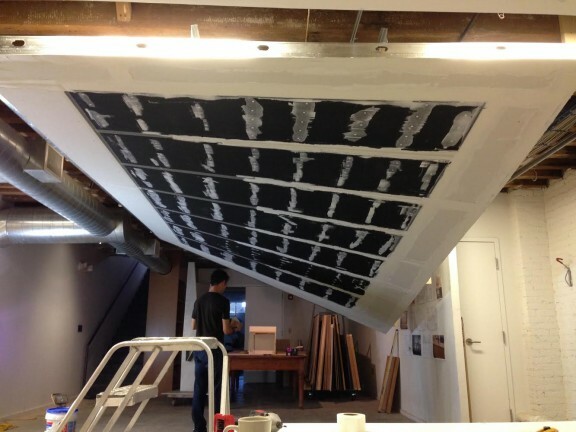 Nader lectures on ‘Pedagogical Constructs’ at MIT Architecture’s Open House on November 13, 2014 at 6:00pm in Long Lounge. 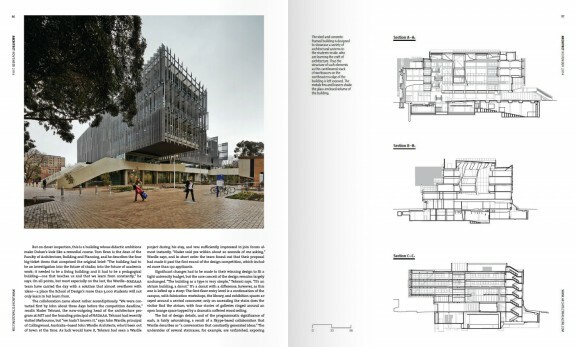 The University of Melbourne has posted a new time-lapse video about the Faculty of Architecture, Building and Planning project. 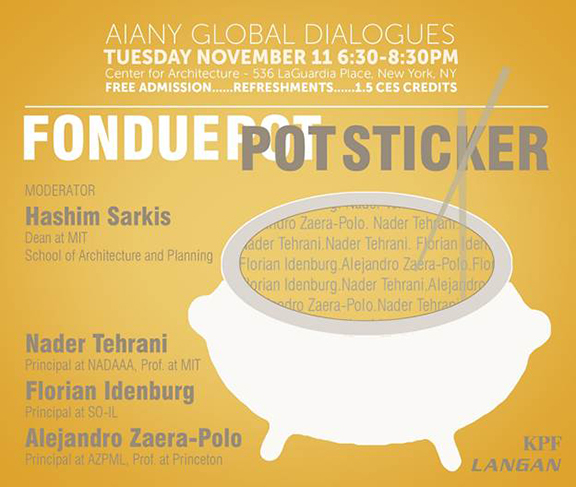 Nader will be joining Florian Idenburg and Alejandro Zaera-Polo for a panel discussion entitled ‘Fondue Pot Stickers: Divergent Voices’ at AIANY’s Center for Architecture on November 11, 2014 at 6:30pm. 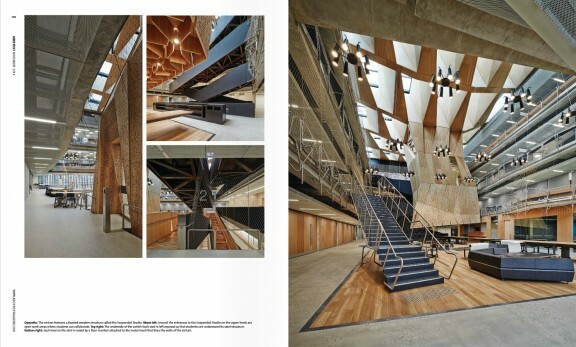 The discussion is part of AIANY’s Global Dialogues series and will be moderated by Hashim Sarkis. 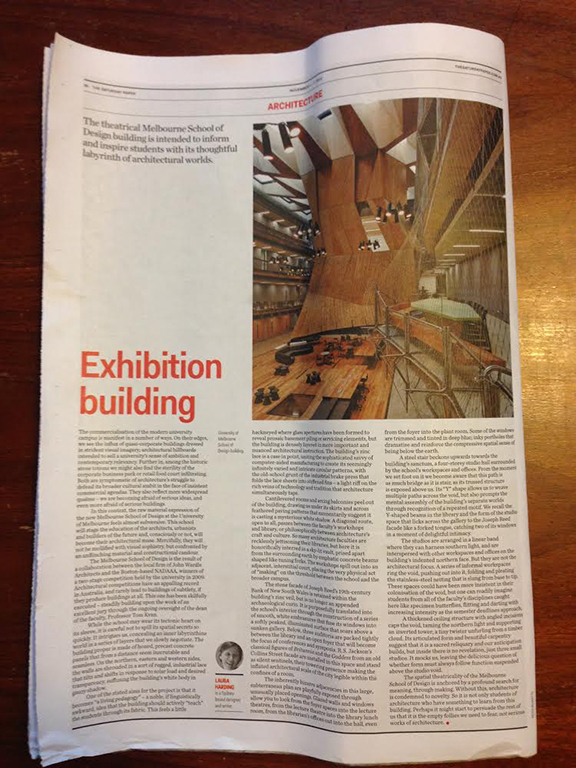 Laura Harding writes about “a theatrical new building to inspire students with its thoughtful labyrinth of architectural worlds” in ‘The Saturday Paper‘.